being a good mom takes lot of work! 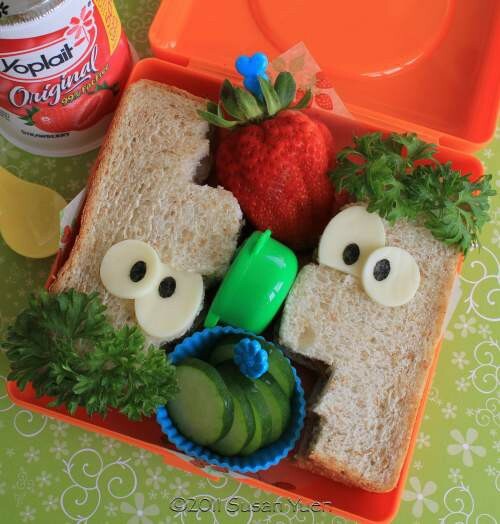 Susan Yuen has tons of fabulous ideas for making sandwich eating fun! made up this cute game of Go Fish! This idea is found over at Another Lunch . 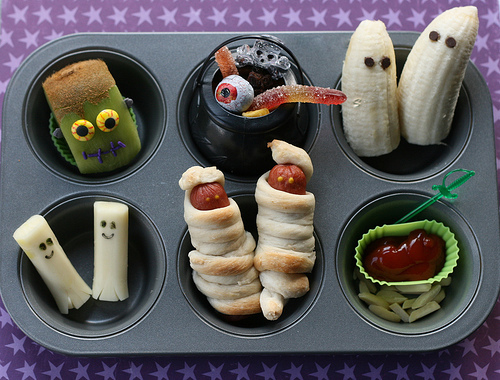 She made lunch super fun and spooky using a muffin tin! Domestic Charm posted this cute idea on her site. She calls it "Meals on Wheels!" 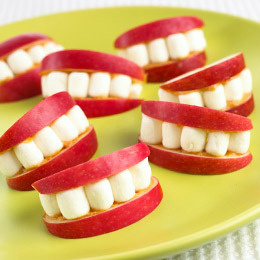 This disgusting and AWESOME snack idea comes from Katherine Marie! 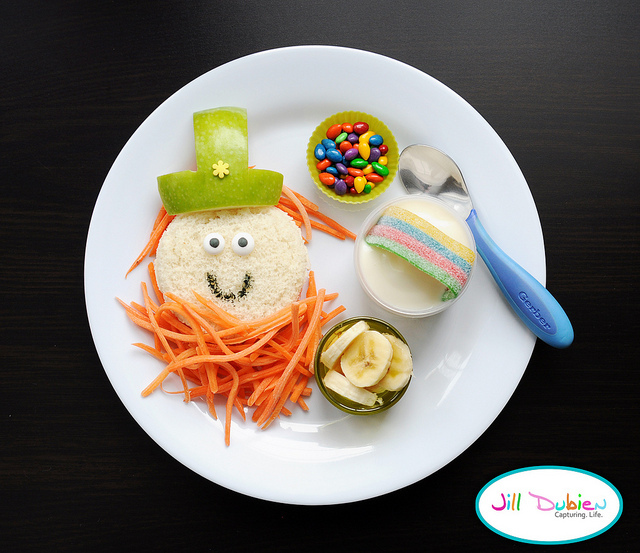 Meet The Dubiens posted this idea, perfect for St. Patrick's or ANYtime! 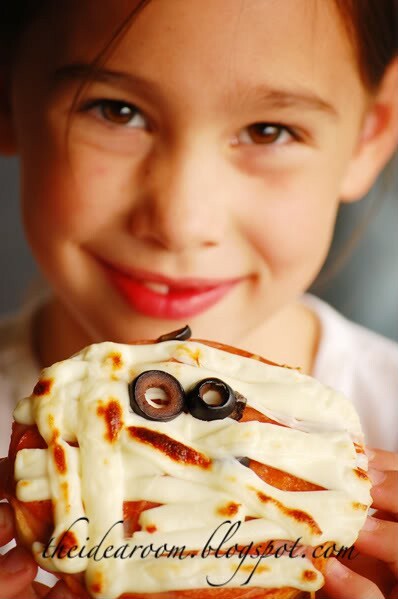 The Idea Room posted this cute Mummy Pizza! 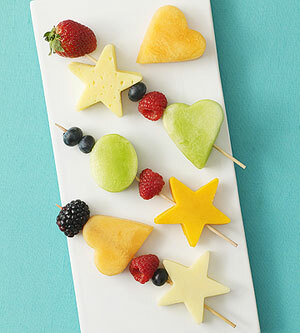 What a fun way to get your child to eat more veggies from Real Simple. 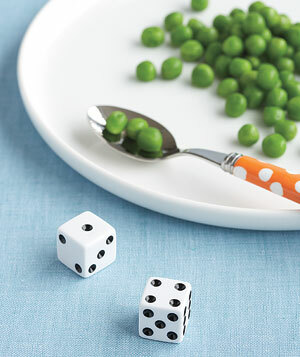 Roll the dice to see how many more he has to eat before he can be excused. ...and those are my PINTEREST PICKS for the day! 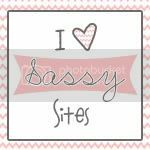 If you'd like to see the rest of my Kids Corner board or if you'd like to be my friend over at pinterest, go HERE! I would LOVE to have you!! Fun ideas. 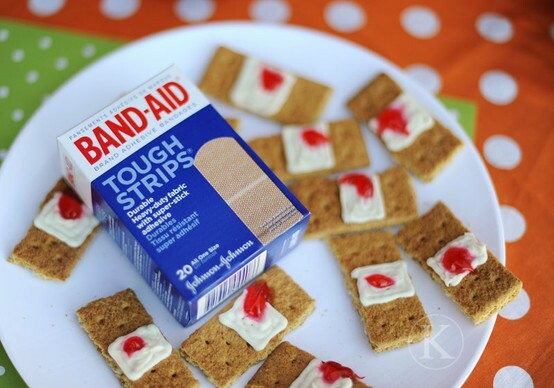 These might even encourage the picky eaters. 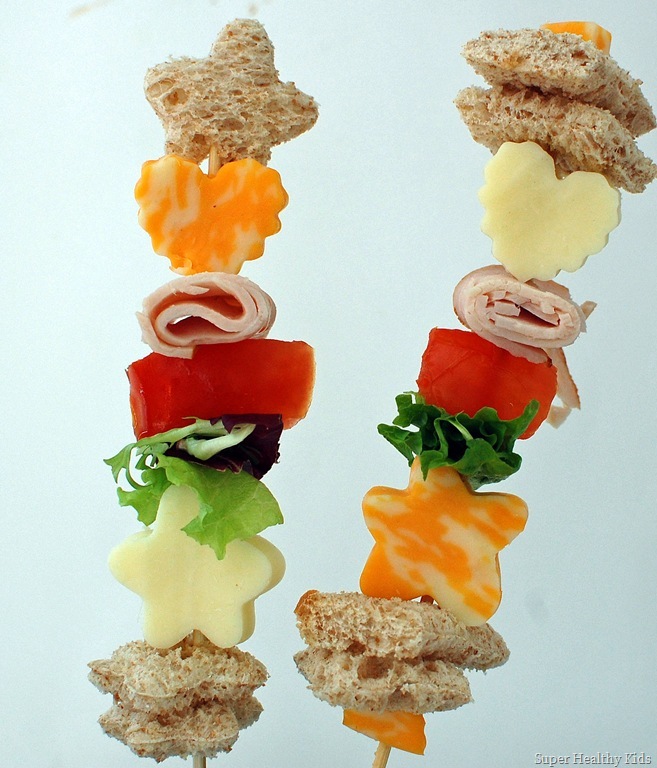 I wouldn't mind a lunch or snack like these for myself. Thanks for sharing. This is great!! I have a picky eater too and I hope some of these ideas help. And I was glad you asked your question yesterday because I got some good advise too! I love those ideas. I think i just might try some with Tyler, although he is a lot better about eating. Katie loves everything but the sippy cup and milk go hand in hand otherwise she will not drink it. It is a battle at our house too. Good luck! That is such a fun collection! Thanks for putting it together. I really should put a bit more effort into my kids food. Glad you are finding ways to overcome your challenges :) If you want a TON more ideas, search for "muffin tin mondays". There's a blog about just that, and there is everything from easy-simple to the most extravagant! My 6yo will try anything if I put it in a muffin tin on a Monday! Thanks for featuring our fishing game! 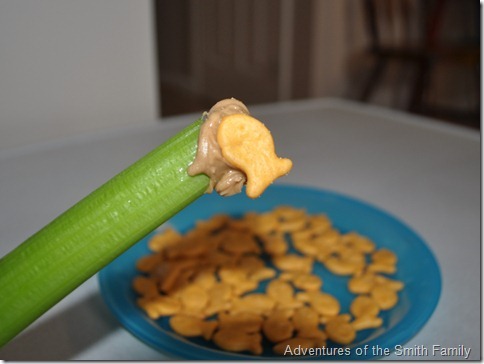 My son LOVES going fishing, and he is slowly working toward actually eating the celery fishing pole. I love all of the other ideas that you posted too. I'm going to have to try some of them myself! I love all of these picks! So cute and crafty! 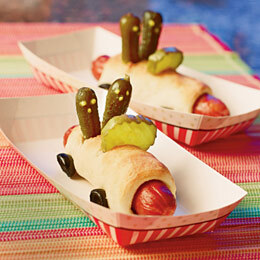 Meet the Dubiens is a great site - she does Fun with Food Fridays every week. And another one is Muffin Tin Monday. She does links on Mondays showing all kinds of muffin tin ideas. I do Muffin Tins on Mondays too and my boys really love them. That is the best day they eat lunch!